The World Health Organization announced that millions of doses of experimental Ebola vaccines are expected to be produced by the end of 2015. It is also mentioned that several hundred thousand of these would be given out in the first half of the year. 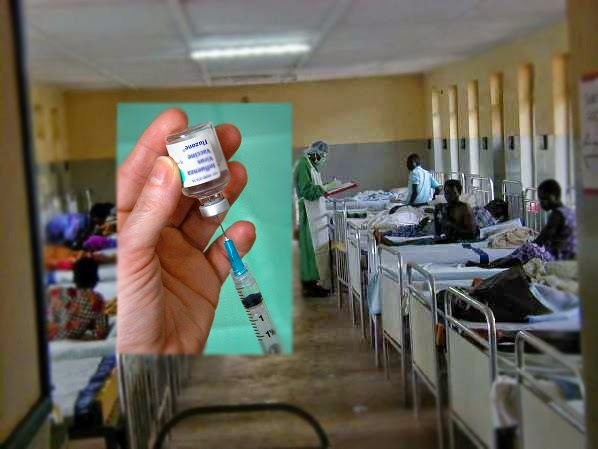 Health workers on the frontline in West Africa will be offered and given vaccines as early as December 2014, though the World Health Organization cautioned that these vaccines are not the “magic bullets” people might be expecting to bring end to the outbreak. It is still emphasized that there is still no proven cure or vaccine for the Ebola virus. The WHO accelerated the pace of the processing of the vaccine development in response to the largest epidemic of the disease in history. Although it normally takes years to work on and examine the effects of a vaccine, drug manufacturers are producing and creating experimental vaccines on a scale of only weeks. Two of these vaccines are produced by GlaxoSmithKline (GSK) and the Public Health Agency of Canada. They are already in safety trials. The GSK vaccine is now being tested in some places such as Mali, the US and the UK while the research on the Canadian vaccine is also under the observation in the US. Further trials and tests are soon to begin in Europe and Africa. The results are expected to come out in December. If everything goes well, trials will start to move to countries affected by the virus, starting with Liberia. This step will allow the researchers to see and assess if the vaccine is effective and what dose would be needed to provide protection from Ebola. It is said that the organizations that will help finance the vaccine would be the World Bank and the charity Medecins Sans Frontieres. For now, treatment and isolation of the victims and sufferers would still remain as the key strategy for containing and preventing further spread of the outbreak until a vaccine is found to cure the virus. A professor in virology at the University of Nottingham, Jonathan Ball commented that there would be a big risk whether or not the vaccines would work and he added that the delivery would prove to be a very big challenge in Africa for the vaccines need to be stored at very low temperatures. Dr. Benjamin Neuman of the University of Reading told BBC when talked about the vaccines that the closest thing to a magic bullet that stops all diseases is still a hospital.